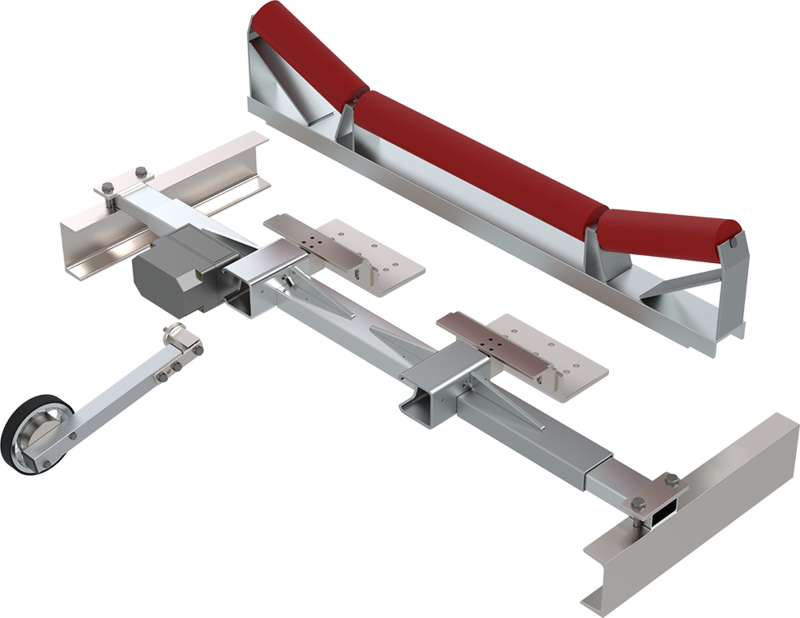 Belt Scale with one Single Point Load Cell for one idler station and for belt widths of 500 – 1,000 mm, for installation in conveyor belts and weigh belt feeders. Suitable for use as a standard belt scale. 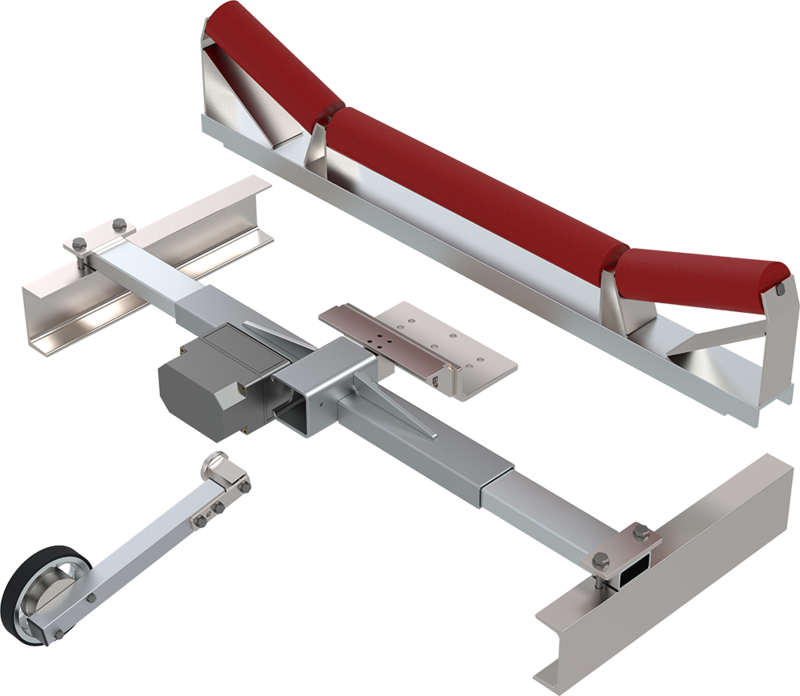 Belt Scale with two Single Point Load Cells for one idler station and for belt widths of 1,200 – 1,600 mm (legal-for-trade), for installation in conveyor belts and weigh belt feeders. The new Belt Scale SFB 22 combines tradition and experience in the design and engineering of scales with a view of the digital future within the context of Industry 4.0. In cooperation with Mettler-Toledo, a Single Point Load Cell has been engineered that not only guarantees a high accuracy of measurements, but also facilitates and speeds up transmission of weight data and integration into networks. The telescopic belt scale SFB 22 can be easily adapted to varying chassis widths for belt widths ranging from 500 mm to 1,000 mm, using one Single Point Load Cell, or ranging from 1,200 mm to 1,600 mm, using two Single Point Load Cells. Admissible belt speeds up to 2 m/s, further versions for higher belt speeds are available upon request. The robust design thoroughly protects all relevant parts of the belt scale from climatic effects, making it suitable for use in a variety of different environments and locations. The hermetically sealed stainless-steel load cell, protection class IP68, as well as the galvanized chassis are further features of the rugged design. Operating temperature range from -20 °C to + 65 °C (load cell). The Single Point Load Cell has a breaking load capacity of 300 percent of its nominal load capacity (Emax) and does not require an overload protection. With a constant belt speed, the Run Detect Technology makes a measuring wheel redundant. The SFB 22 detects belt operation by sensing vibrations. As an optional add-on, either a standard or a high-resolution measuring wheel can be installed. The SFB 22 automatically detects the optional measuring wheel after it has been installed and connected. Due to the innovative technology of the measuring unit, no external field display device is required. The Belt Scale settings are configured via a WEB Server, a feature that reduces the purchase price. For integration into existing plant systems, standard Ethernet or Profinet interfaces are provided. The supplied Belt Load Logger provides more functions for the evaluation of weighing data. It is also possible to receive e-mails on the smartphone providing totalling information for each day.